The picture at the right is one of the unidentified pictures from my great-grandmother Viola’s collection. 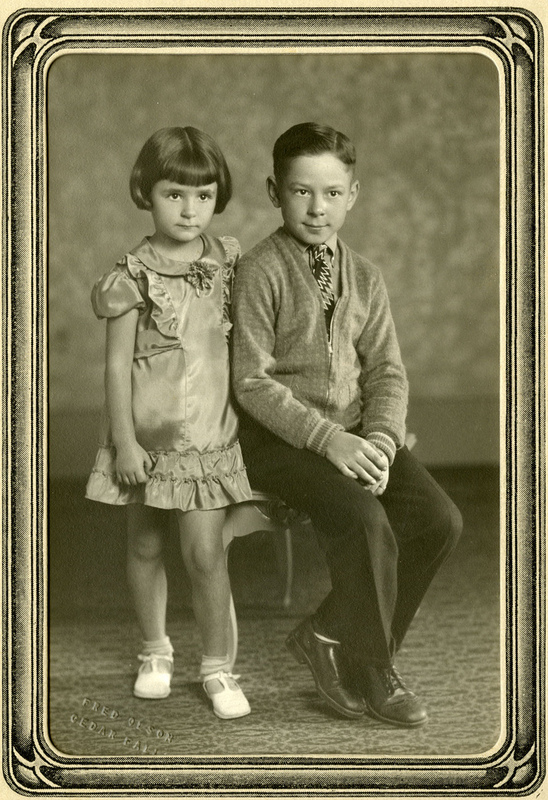 Lavelle and Lawrence Bausman are the children of Irl Hicks Bausman and Annette Marie Jensen. Irl was Viola’s cousin. I was able to identify it over the summer after visiting Pleasant Valley, Iowa, and meeting Janice, a cousin of Lavelle and Lawrence. Last week, I sent this picture to Janice, so she could give it to the widow of Lawrence. So, I’ve identified one picture of Viola’s; only 29 more to go!